End Allergies Together (EAT) is an amazing organization that I believe in and support 100%. 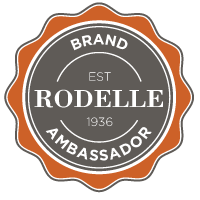 I’m thrilled to be one of End Allergies Together’s Mission Ambassadors. Disclosure: I have posted a link to my EAT fundraiser page, all donatations will go directly to EAT. If you have any questions about food allergy treatments, please discuss with your medical care team. We Need a Cure for Food Allergies! Our family loves and support food allergy research. 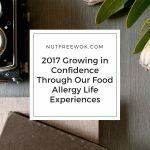 We personally know that food allergy treatment is life changing. One of my sons had many reactions to trace amounts of nuts in the air at stores, restaurants, walking down the street, even sitting next to someone who ate nuts hours earlier was enough for us to wonder whether we’ll be heading to the emergency room soon. I could control what he eats, but there was no way I could control what’s in the air, we were desperate. You may remember my previous posts about my son’s experiences in a peanut patch trial. After he completed his patch trial, he had follow up treatment and was desensitized to his remaining multiple food allergies via oral immunotherapy with Xolair. 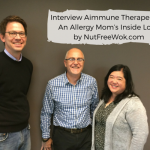 Food allergy treatment has been a life changing experience for him. He’s so lucky he’s experienced two types of food allergy treatments. He can go out with his friends, travel with his family, and eat ravioli and handmade pastas (his favorite food, previously off limits due to his egg allergy). We’ve been so blessed, but I want the same for you and your loved ones too. I want our future generations not to live in fear of food allergies but to have multiple treatment options. What if we could fund a cure now so that our children don’t have to be worried food allergy moms and dads 10-20 years from now? Have you heard of End Allergies Together? Some amazing families got together in 2014 and founded a new food allergy non-profit, End Allergies Together. Their mission is to “end food allergies by directly funding the scientists seeking a cure.” 100% of our donations go directly to the researchers which makes EAT stand out even more. Since EAT was founded in May 2015, they have raised $1.5 million dollars and have funded eight research projects. 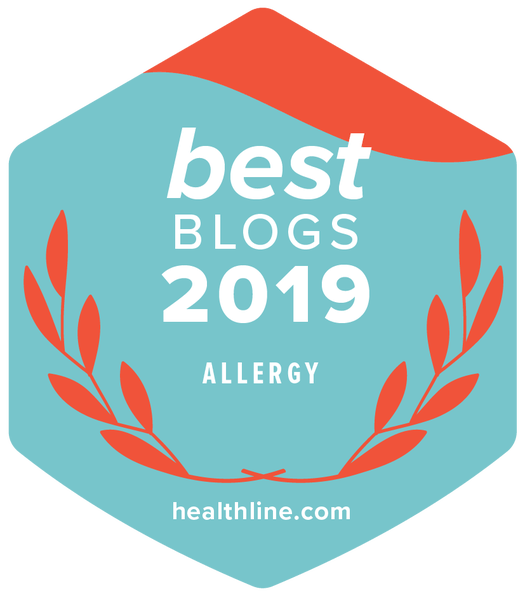 The researchers are investigating food allergy related topics such as prevention, microbiome treatments, OIT safety, diagnostics, and basic science all of which might give us a better insights about food allergies. 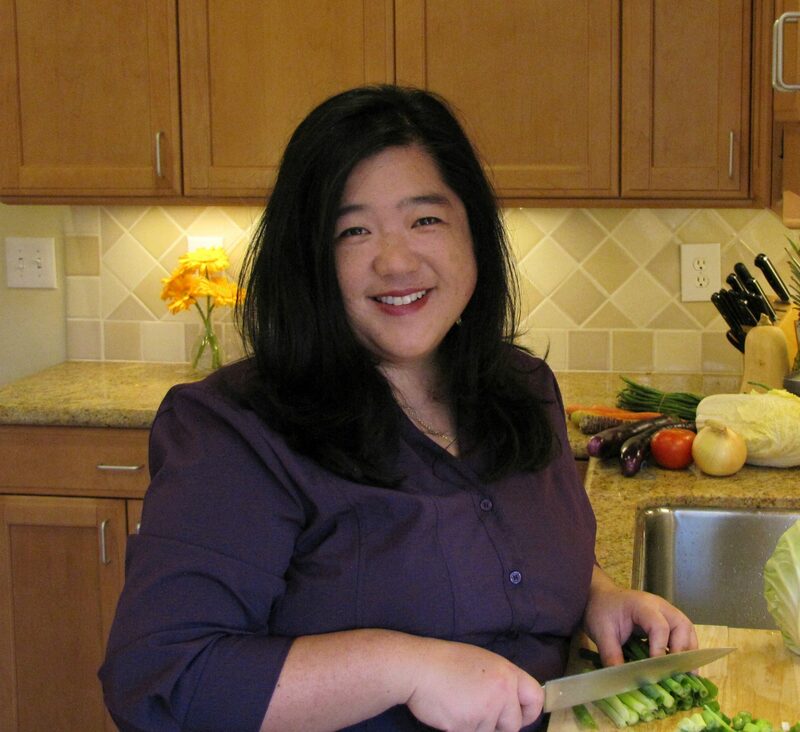 I’m so honored to be one of EAT’s Mission Ambassador and to share their mission with everyone. 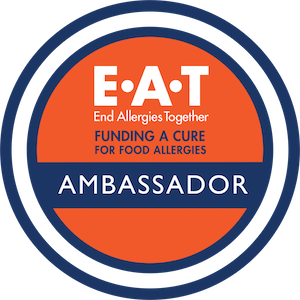 We all want a food allergy cure, you can join me to make a difference in big and small ways to get involved and support EAT. A super easy way get involved is to share EAT’s informative PSA videos with your family and friends. They might learn something about life with food allergies and it’s a great conversation starter and may lead to greater understanding and support. Chef Ming Tsai opens a food truck that may possibly contain deadly ingredients and asks potential customers would they risk their life for a bite to eat? It’s a disconcerting but eyeopening way for people to think about what it must be like for people with food allergies. The most recent PSA video is a catchy reminder to “Give and Go” and features NFL Hall of Fame’s Jerome Bettis “The Bus” who has a life threatening food allergy to shellfish. The PSA is a life-saving reminder: When the symptoms of anaphylaxis strike, GIVE epinephrine according to your autoinjector’s instructions and GO call 911 and go to a hospital. What? You can support EAT by shopping and having fun? YES! 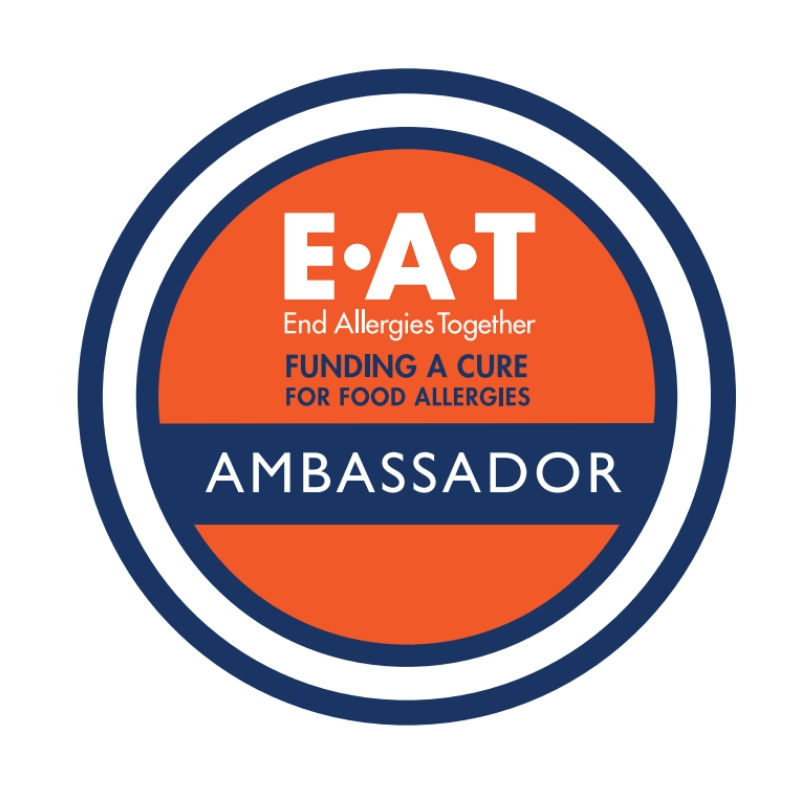 Create opportunities to share about EAT’s mission and why finding a cure for food allergies is important to you. You can check out EAT’s shop to buy EAT branded clothing, accessories, and water bottles. Snack Safely has generously partnered with EAT and anytime you shop on Amazon via Snack Safely’s link. Support a friend’s small business. You can host a party, invite your friends to shop, and a percentage of the sales will go to your fundraiser. You can host a fundraiser event. Gather your friends for a fun event, tell them about EAT and why finding a cure for food allergies is important to you, and ask them to for their support and participation. I strongly believe that raising money for a food allergy cure will directly help the medical aspects of food allergies. Fundraising also gives me and you a reason to talk about food allergies and why a cure is needed. The people around you will learn that foood allergies affect millions of people, someone goes to the emergency room every 3 minutes due to a life threatening allergic reaction and more. Fundraising gives us the opportunity to talk about how food allergies affects you and your family and you might help someone else realize they need to carry epi, or learn the signs of anaphylaxis, or want to be inclusive. You may discover you have a passion project which will lead to something that will connect you with others in ways no one else has done before (hi Food Allergy Treatment Talk, Teal Pumpkin Project, Turn it Teal, Spokin, No Nut Traveler, Food Allergy Counselor, et al). Give to EAT or Share about EAT! 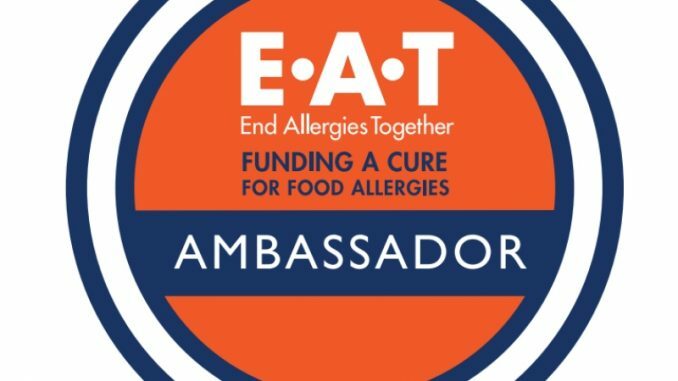 I created a fundraiser page on EAT, I would be so honored if you made a donation so we can truly End Allergies Together. Any amount is wonderful, you participation matters. Everyone can still lend support by sharing about EAT. Be sure to visit EAT’s website and follow them on your favorite social media platforms. Like, share, retweet, and leave a supportive comment to help amplify their message. I imagine the day when we can be like Oprah and be able to shout, there’s a food allergy cure for you, a better blood test for You, and no allergies for YOU! 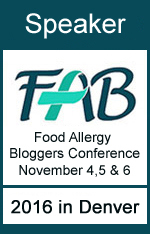 My greatest desire is to see food allergy treatment options widely available everywhere. Wouldn’t it be great if food allergies were a thing of the past? 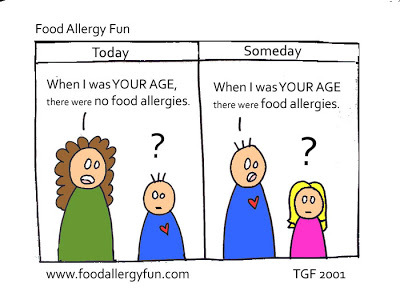 I love this cartoon by my friend Tiffany at Food Allergy Fun. Thanks for letting me share it! Fingers crossed for future generations. Image credit: Tiffany Glass Ferreira and used with permission. 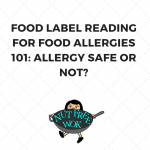 Food Label Reading for Food Allergies 101: Allergy Safe or Not? Congrats Sharon! You are such a positive and inspiring member of the allergy community. Thank you Kortney, what a sweet thing to say. I look forward to seeing you sooooooon!! !